MRI Scans, or magnetic resonance imaging, is the process of using both powerful magnetic fields and radio waves to generate extremely detailed images of your body. MRI scans are most commonly used on the brain to diagnose potential injuries. These scans allow physicians to detect brain injuries, signs of stroke, infections and even aneurysms. However, MRI Scans aren’t just for the brain. These scans can also be ordered to view potential joint damage, bone infections, and damage within the heart. Unlike X-Rays and CT Scans, there is no radiation involved in the use of MRI Machines, so there is no risk of any radiation-related illnesses. Progressive Diagnostic Imaging is proud to offer an Open MRI Machine & MRI Imaging in Riverdale, New Jersey. What Is An ‘Open’ MRI? One of the major drawbacks of MRI Scans is the use of a closed-in capsule type machine that patients must lie in for an extended period of time. Generally, patients experience anxiety when it comes to any type of medical test or procedure, the addition of being confined into a small space for 20-30 minutes typically increases this anxiety. The Open MRI Machine at Progressive Diagnostic Imaging in Riverdale removes this anxiety-inducing aspect due to its’ ‘open-air’ design. Progressive Diagnostic Imaging offers the complete line up of MRI scans needed by physicians right here in Riverdale, New Jersey. From a patient’s head, neck, spine, and chest, to all extremities. 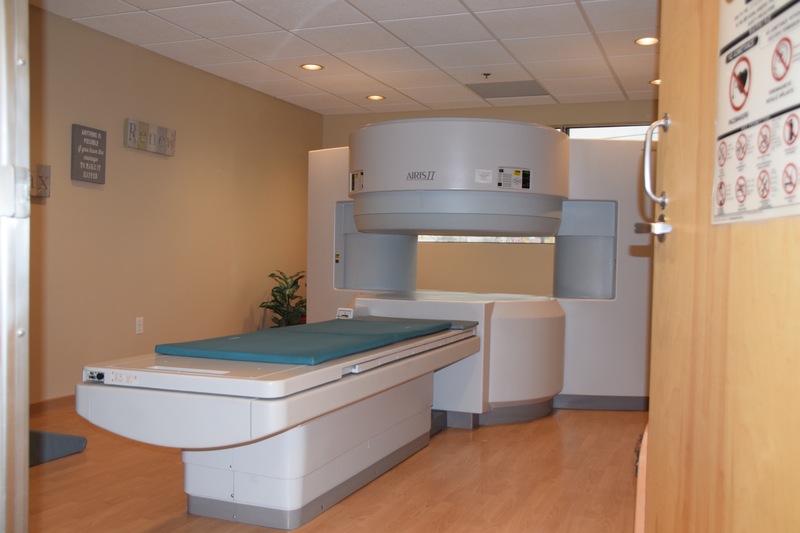 Our open magnet offers clear images for the doctor and a calm non-claustrophobic MRI experience for the patient. The magnet strength combined with the latest coil and software updates which include new tuning specifications for signal-to-noise ratio gives our images high field open quality any doctor can count on. This magnet is the most open magnet on the market giving patients the comfort and ease of doing the study without compromising image quality and detail. Ready To Book Your Open MRI Appointment?